Il Grammy Artists Revealed presentato il 7 ottobre da Mastercard ha avuto come protagonista Pat Benatar al Nokia Theatre di New York. Pat e suo marito e collaboratore Neil Giraldo hanno risposto a qualche domanda posta dai fans sulla pagina di Facebook. "The new GRAMMY Artists Revealed events will celebrate revered artists and their personal road to the GRAMMYs," said Neil Portnow, President/CEO of The Recording Academy. "We are proud to kick off this series with one of the most talented artists in pop/rock history, Pat Benatar. And we are honored to partner with MasterCard, an organization that is truly committed to music, to deliver these unique experiences." 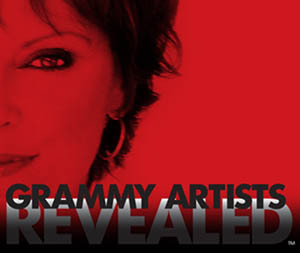 "We're ecstatic The Recording Academy has asked us to share our road to the GRAMMYs story," said Benatar and Giraldo. "Winning a GRAMMY Award is the highest achievement for an artist, and the opportunity to perform in an intimate venue for our fans in the city where it all began is even more thrilling."